Towels are more important than most people consider. But could you imagine your gym without them? Getting a haircut at a salon without them? The commercial uses for towels are various, and one of the most widely-used towels for industry use are terry cloth towels. 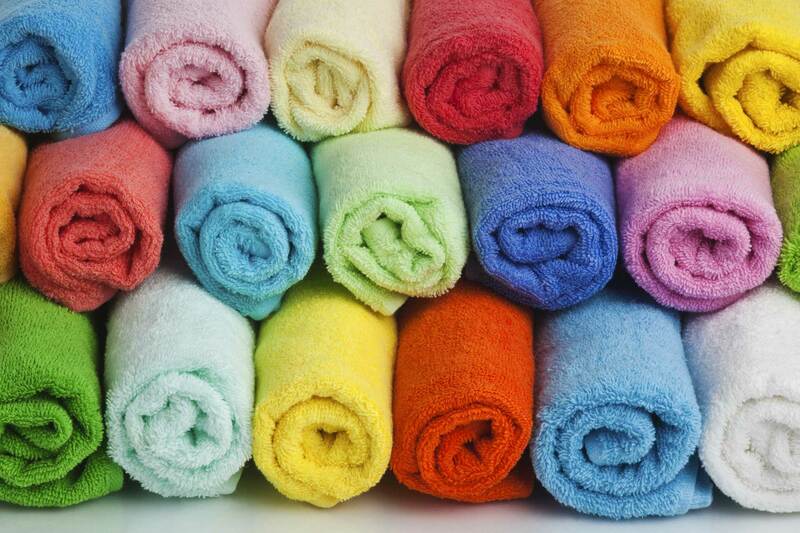 Terry cloth towels are known for being excellent at absorbing water. There are many ways to utilize these towels in commercial applications, and we’ll cover some of the best ones here. While the traditional use for terry cloth towels in gyms and fitness centers is for guests to stay dry while working out, there are other good ways to utilize them. They work great for cleaning off equipment and mats, as well as administrative furniture. 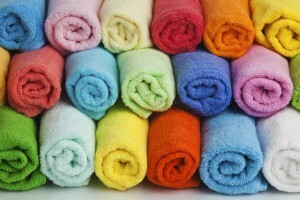 Using terry cloth towels instead of disposable paper towels for these purposes saves money, and they do a better job. Salons and spas often use terry cloth towels as head wraps or to dry a client’s hair after washing. However, they can also be utilized in spas and salons as neck or head rests on massage tables and hair wash stations. They’re also great for cleaning and sanitizing equipment after use, and as hand towels in restrooms. Microfiber towels are the preferred towel for sanitizing and cleaning in hospitals and medical centers, but there are other hospital uses that benefit from terry cloth towels. From cafeteria cleanliness to spills, they have many uses around these facilities. Another good place for them is in employee break or hygiene areas, such as showers and locker rooms. To learn more about how terry cloth towels can benefit your company, please contact Joe Bateman at Lord Baltimore by calling 800-292-1224. This entry was posted on Wednesday, December 30th, 2015	at 10:22 am	. You can follow any responses to this entry through the RSS 2.0	feed. Both comments and pings are currently closed.